A word that to me means waiting and desiring. Google says it means “a yearning desire.” The dictionary says it is “a strong desire especially for something unattainable.” I would assume it is a verb, like the act of longing for something. But apparently it’s a noun. It is a state of being. I don’t know what made me realize it, that inside the word longing is the word long. Maybe that was obvious to you. It just suddenly stuck out on the page. That is how I feel about longing. That it is a long process. A long and hard process. Recently I’ve found myself longing, maybe more than ever. I don’t like the dictionary’s definition; I don’t think that it has to be unattainable. That would be hopeless. It seems that somewhere inside of longing there is an undying hope. My college mentor once dropped the wisdom-bomb on me that single people’s role (one of many) in the church is to represent longing. As Christians we embody longing; we are living and hoping for another life. We know things aren’t the way they were supposed to be, and we are always longing for them to be set right. For this C.S. 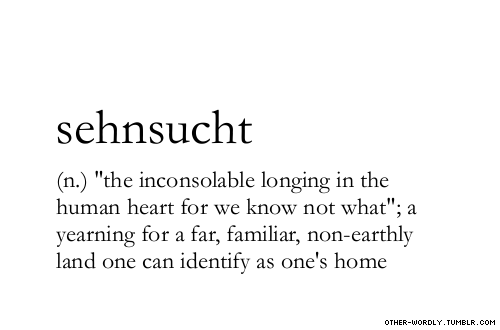 Lewis used the word “sehnsucht.” (I quoted C.S. Lewis, I’m officially a cliché seminary student). He describes it as “this desire for our own far-off country…the secret we cannot hide and cannot tell” (Lewis, 29). This is, he says, something all Christians experience. I would wager that every human being experiences this, somewhere in their soul. I still think that dictionary definition is wrong. I think we wish for things that are unattainable, but we long for things we can and/or will attain. (Like I wish for the day I can drop $500 on shoes, but that is never.gonna.happen.) It is why we use the term, “wishful thinking.” Ain’t gonna happen, sista. Longing, however, is full of hope and expectation. We long for things because God placed that desire deep inside our souls, and He did it for a reason. My future husband and kids, for example (to get reallll personal), are people I deeply long for. And I have reasonable hope that my longing will be fulfilled, because it is God-given. Speaking of God…I think He experiences longing too. He longsto give us good things. He longs for us to know Him, and trust Him, and love Him. 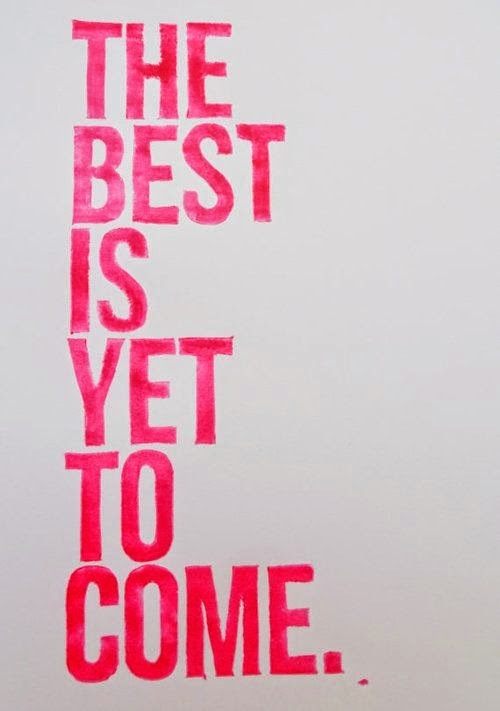 Which means that those things are not unattainable. We can know Him, we can trust Him, we can love Him! Someday, our longings will be fulfilled. We will not experience the pain deep within us because all will be the way it is meant to be. Some of these longings will be met on earth, and many not until life is restored to its original intent. We can hope, and long, for the day when all this will happen. Lewis, C.S. Surprised By Joy: The Shape of My Early Life. Orlando, FL: Harcourt Inc., 1995.